It's perfect for that new room space or a too-warm area like a sunroom because installation is minimally invasive and, of course, no ductwork is needed. You can even make a room that's always too hot comfortable even in winter. 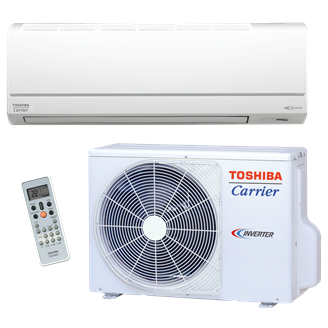 This system will allow you to cool even when outdoor temperatures get as low as 0°F and heat when it's as cold as -4°F. The additional heated base pan on the outdoor unit also helps prevent ice build up in environments with sustained periods of freezing temperatures to keep the system operating efficiently.